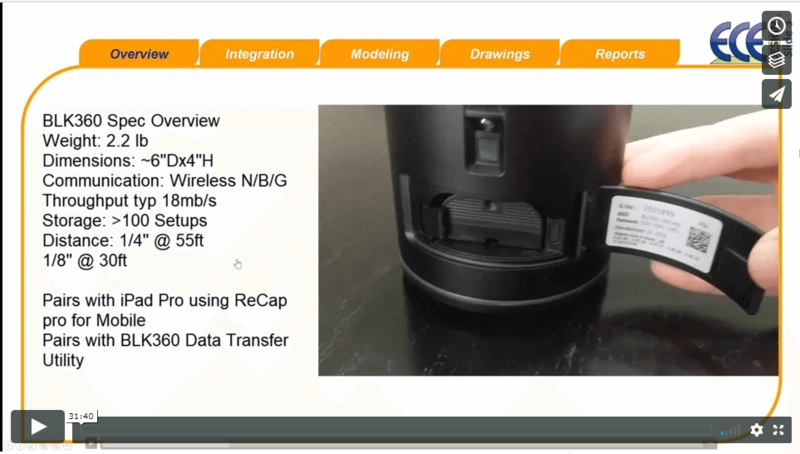 ECE’s webinar, BLK360 Scans into Cyclone Register 360, has been posted! You can view the recorded webinar here. Options for transferring scans off the BLK360. Workflow for Cyclone REGISTER360 to get a finished export product. In this webinar, Support Manager George Montgomery describes the latest hardware and software from Leica. The webinar touches on capability of the BLK360, where it shines, and options to take scan data from the scanner into other software. It concludes with a review of the workflow in Cyclone REGISTER360 to register multiple scans. Part 2 of this webinar will pick up where we left off on Part 1, and discuss what you can do with the scan data once the cloud has been registered. Part 2 will include discussions about Jetstream, Cyclone, and Cloudworx. Part 2 will Air 3/28 11:45AM CST. Register for Part 2 of this webinar here.